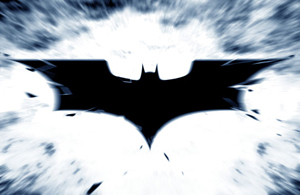 Recently Warner Bros. set the official date for the third Batman movie to be July 20, 2012. It’s the only concrete detail on the movie while it’s under the presumption that Christian Bale and Christopher Nolan will be involved in the film. The Riddler is a fan favorite for the next villain, thoug h I’m hoping for the Riddler to be an intellectual rival to Batman as a detective. The third movie can easily suffer the fate of most trilogies if it follows the same formula of “bigger is better” — having the Riddler as a rival on top of an actual villain would help keep the film grounded, and further display the detective aspect of Batman that was only touched upon in the prior movies. As for actual villains: I’d like to see Bane and Black Mask being used. If Bane’s characterization is the intelligent version like in the comics — coupled with Black Mask who hates Bruce Wayne and eventually controls much of the underworld of Gotham — they would make a formidable team against Batman while he’s in his rivalry and occasional help from the Riddler. What about Mr.Freeze? So far in these movies, have not really been asked to sympathies with the villain at all. Mr. Freeze, if done properly, would give us an opportunity to be unsure about who we wanted to win. It might also avoid ‘big, bigger, biggest’ problem in that Mr Freeze doesn’t often feel like taking over the world or killing everybody. I agree that Black Mask/criminal underworld would fit here, but they may want to avid looking to formulaic (local gangs receive help from outside supervillain, suppervillain betrays them, the Batman wins). I wish they would not ave killed off Twoface. That’s a good point about Mr. Freeze. He’d make a great sympathetic villain to challenge the audience. For Black Mask, I wouldn’t really see him betraying the local gangs, just merely utilizing them for his motives in Gotham — though I do see where you’re coming from about that formula. I’m bummed out about Two-Face’s arc being so quick and being killed off too. I would have preferred “The Dark Knight” having Harvey scarred and hospitalized, and then becoming Two-Face at the end. It could have been self-contained and not a blatant setup for a sequel if done right.